Here at Chiropractor Bramhall, we have an intricate understanding of how the human body works. This allows us to see where movement patterns have broken down and caused pain. Patients often come in initially for pain relief, but Chiropractic offers so much more. With the understanding that the body has the ability to self-heal, chiropractors administer treatment to assist in the body’s natural healing process. We are registered and insured with British Chiropractic Association and the General Chiropractic Council. At Chiropractor Bramhall, we believe in long-term relationships, and we also believe that getting to know our patients enables us to help them fully. Why not spend some time getting to know our team? Jordan was inspired to become a Chiropractor because the concept of improving health without the use of medications and surgery really resonated. After failed surgery on a sports injury and a long-term low back problem, it was chiropractic and rehabilitation that got him back on his feet. 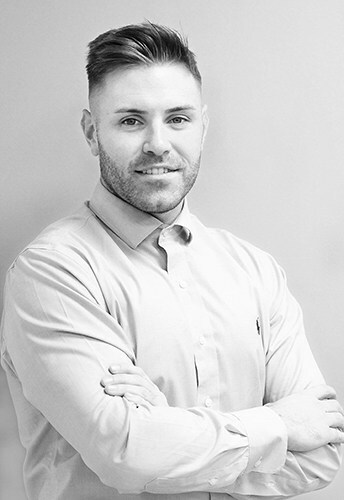 Originally from Macclesfield, Cheshire, Jordan graduated from the Anglo- European College of Chiropractic in Bournemouth. A five years master’s degree in Chiropractic followed the completion of a three year Sports Injury Bachelors Honours Degree in London. During this time his research into sports injuries was published in a peer-reviewed journal. At Chiropractor Bramhall we tap into the body’s natural healing powers to treat a wide range of aches and pains.